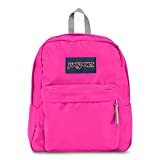 How to buy the best high school backpacks for girls? With the back to school season looming, every teenage girl entering high school is searching for the best backpack that would be instantly make a statement. Whether you like it or not, first impressions last and what better way to impress fellow classmates old or new than to have a backpack that functions as it should but doesn’t look nerdy at all? You can look cool while still maintaining a comfortable gear and getup. If you’re carrying a lot of books, don’t rely on a handbag just because it’s girly, but opt for a comfortable bag that won’t sacrifice style. You’ll be able to carry a lot of stuff by using a backpack compared to a handbag. Plus, both your shoulders will share the weight, making it healthier and safer for you in the long run. Convinced, yet? Check the factors that you should look for in a backpack to help you get started on your search for the perfect one. Remember, just because it looks nice, it means it’s the best high school backpack for you. What are the factors to consider before getting a high school backpack for girls? Size: Do you need a small one, a big one, or both? If you intend to use it only for a few notebooks, pad papers, and pens, you don’t need to buy a really big one (this is especially the case if you have a locker at school where you keep your heavy books). On the other hand, if you have to bring books every single day from home to school, you might want to invest in a heavy duty bag that won’t rip after a few weeks’ use. Books are heavy plus if you have other electronics you bring to school, such as laptops and tablets, you may want to invest in padded ones that would be comfortable to carry, although it’s really not recommended to carry all these for health risks. Over time, you may feel back and neck strains. Price: Prices for backpacks vary mainly on the brand name, the size, and the materials used. It gets more expensive depending on the name. For example, a popular backpack from a luxury brand such as Tory Burch, made from leather, can go as high as $500 and beyond. If you’re a high school student looking for a sturdy bag for school, this may not be practical. Durable Canvas Material, Roomy main compartment, 1 large zipper front pocket, 2 slip side pockets.Adjustable shoulder straps. Our Unisex Canvas Backpacks are great for everyday causal use. Ideal for Medium Capacity usage. A faux leather bag that comes in black, brown, or white. Depending on the color you pick, you can look rebellious, smart, or chic only for a very affordable price of $13.60. Style: This is where you can exercise your creativity. Choosing backpack as your major school bag doesn’t equate to being boring. You have a lot of designs to choose from, in varying colors that excite the eyes. Backpacks, as many youth have thought, isn’t always plain and black. This is truly a different take to the classic backpack everyone’s used to. With this bag, you’re making a cool statement. Includes one exterior zipper pocket. Shoulder strap has a length of 34". It features Comfortable straight-cut, padded shoulder straps and two thirds of padded back panel. This is to help alleviate the weight of all the books and electronics you’re carrying. The straps evenly distribute the heaviness to both your shoulders while still giving comfort to your lower back, to maintain a straight posture. Purpose: Other than school, if you intend to use your backpack for travelling where you’ll be walking around for long periods of time, use it in countries where the weathers are changing, or intend to have all your travel stuff in it, consider a backpack that is durable, will last beatings, will perform as it should under severe weather conditions that constantly change (under the humid, hot weather or under snowy conditions), and will carry all the stuff that you need. 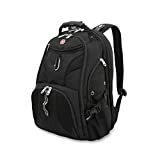 This should be a heavy-duty backpack that is fit for travel while still being as light as it should since you don’t want something that would add weight to your already heavy travelling stuff. Getting a travel appropriate backpack if you go on adventures a lot saves you the money from buying a separate travel bag. You can use it for school to carry your books and other school essentials while being able to tow it with you when you travel. It has built-in sleeve for laptop and is made of high-quality polyester with ScanSmart to protect vital travel documents. With all the factors above, you should be able to decide on which high school backpack you should get, or if you’re a parent, the best one to choose for your daughter. Remember, wearing backpacks to school doesn’t instantly put you into the “uncool” bunch. You can be cool while using a backpack to school by finding one that mirrors your personality and one that you feel confident in. 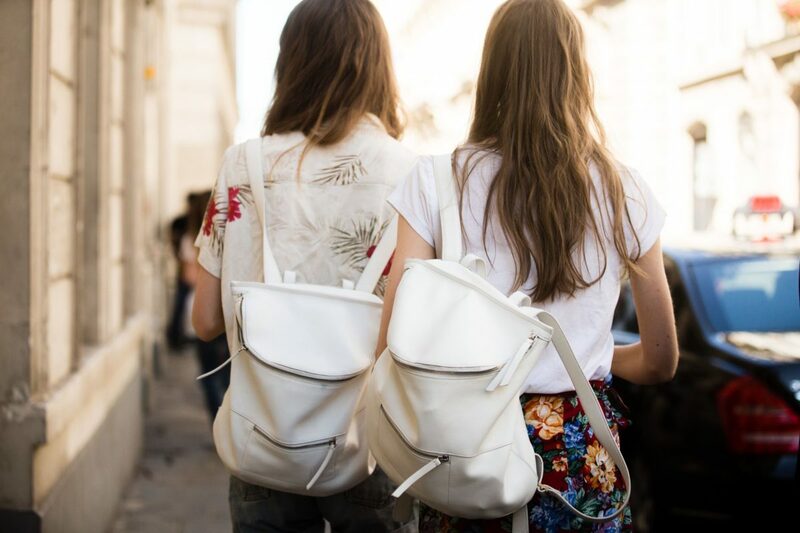 A backpack, while being stylish, also helps you carry all the belongings you need to bring to school day in and day out without affecting your back and shoulders negatively.